Strap yourselves in and don’t forget your helmet; you’ll need it for all the banging of your head against the wall due to the sheer frustration that Danger Zone 2 brings. Danger Zone 2 is the latest offering from Three Fields Entertainment, but it actually does a rare thing in game development and takes a step back from the original game. What was originally a competent but bare bones title released last year is now not even a full skeleton. And it still does not contain any Kenny Loggins! 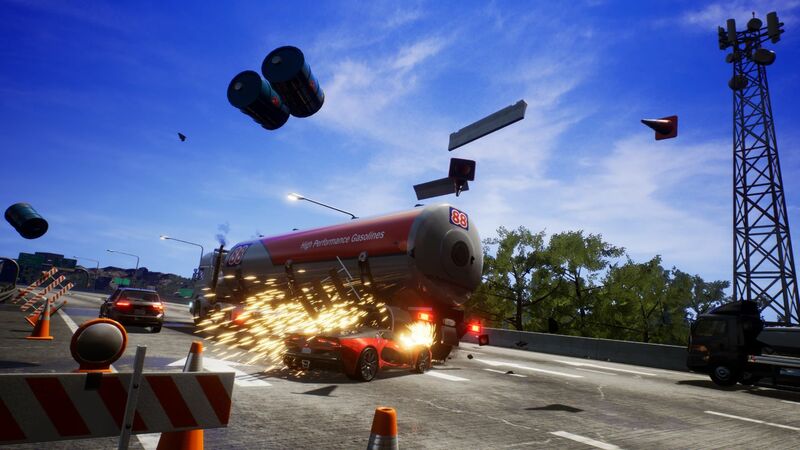 Danger Zone 2 plays very much like the first game, offering the player set-pieces that compromise of twisty and windy roads, with the ultimate aim being to cause as much chaos and destruction on the track as possible, with money being awarded for just how much damage you cause. 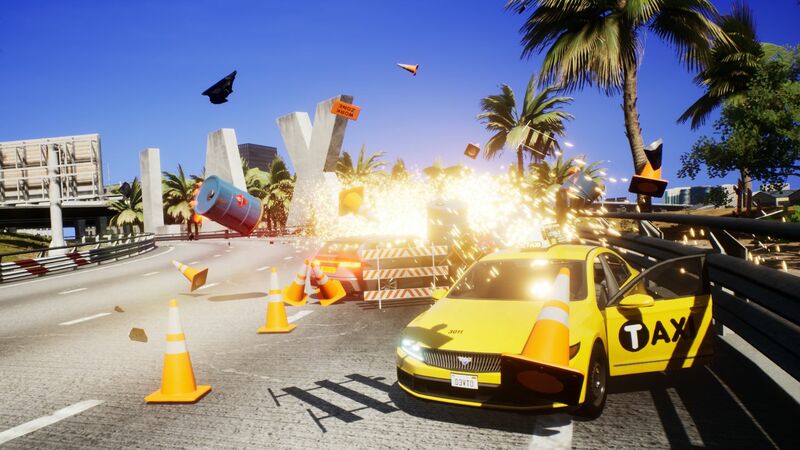 Danger Zone 2 takes this premise outside the comfort of the test environment from the original title, to the real streets with locations based on real-life. Not that you would necessarily know where they are, as the game doesn’t offer any indication as to where they are. You may be able to decipher where you are should you see cars driving on the left-hand side of the road with big blue road signs – a motorway on the British Isles – or big letters spelling out ‘L A X’ can indicate you are at Los Angeles airport. But to make a big deal in the leadup that the crash junctions are based on real world locations, but then not highlight exactly where they are, feels a bit rushed. These little differences between each track see everything merging into one, something that is made worse by the fact that the flyover cam from the beginning of the levels has been removed altogether. You’re essentially going into each stage blind, having to ‘hit and hope’ that you get the right line. It makes Danger Zone 2 more difficult than before, which could explain its omission, but it again ensures that it feels like the game has been rushed out to market. Highlighted in the pre-release info for Danger Zone 2 were a larger variety of cars, and that’s at least true. 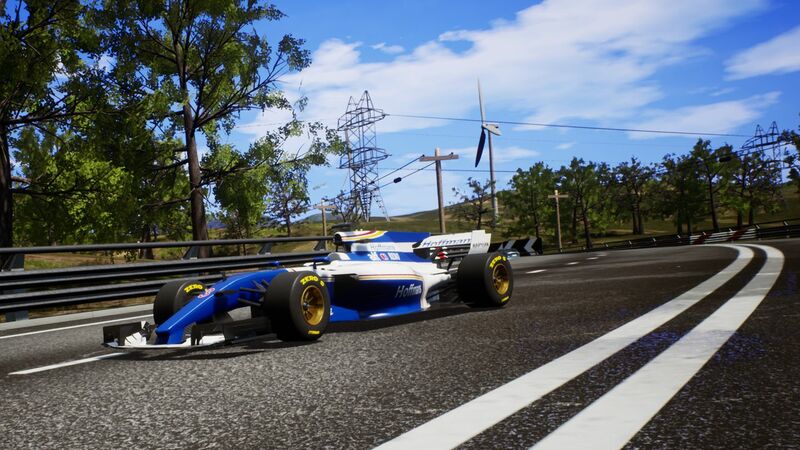 Early levels have you driving big rigs, sports cars, estates and even an F1 car – one that handles far too well on a particularly twisty opening section. They all feel different which is good, but there still is no option to select a car of your own choice. This would have perhaps given the game some extra longevity as players compete for the top of the leaderboards using different cars. The aforementioned twisty opening section is part of a new feature for the game called ‘Run-Up Objectives’. These sections of the junctions offer different objectives along the lines of smash X number of cars, beat the timer to all checkpoints or trying to keep boost going for the entirety of the run-up. Complete these and your final score gets a healthy boost, in effect making them essential to complete if you want to earn those Platinum medals. Another Run-Up Objective requires you to press the Slo-Mo button (LB) when jumping over three jumps on the way to the crash junction, giving an alternative, more cinematic view of the car in flight. However, it highlights a bug in the game in that sometimes, after releasing LB, the camera fails to snap to another position round the car, locking itself in place, resulting in the player not being able to see the landing and leaving no choice but to retry the level. Thankfully, the load times between retries is fairly quick, but this is only one of many issues that will end attempts earlier than anticipated. Another bug causes roadsigns to become lodged in the car, and then the slightest nudge to the car sees it being totalled and requiring a retry. The developers at Three Fields Entertainment have assured that a patch is on the way to alleviate some of these issues, and to be honest, they can’t come soon enough. If all these bugs don’t cause you to bang your head against the wall resulting in loss of blood pressure to your hands, then the controller vibration certainly will. See, it is either running at 0% or 100%, and rather than offering any form of haptic feedback, it feels more like your controller has something living inside. Before any of these issues though, Danger Zone 2 first needs to fix the crash mechanics. They rarely work the same from the time before, and instead they are a lottery. On one level for example I completed the Run-Up Objective, flew off the jump to propel me into the danger zone, hit the first car and failed the junction. Big red letters appeared on screen – ‘CRASHED’. That is literally the point of the game. I could understand if I hit an oncoming bus before I got to the danger zone, but too many times I’ve received that message whilst in the danger zone. When Danger Zone 2 isn’t being let down by these problems though, it can be a lot of fun. Short, but fun. 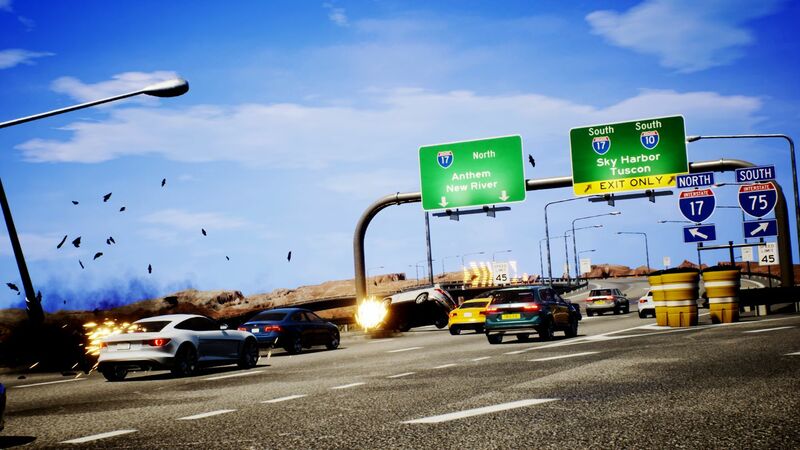 The game requires a logical approach to the junctions rather than just speeding in there with reckless abandon, and, once you figure out the best way to collect all the pickups, seeing the carnage unfold around you is satisfying. It is again missing the final flyover to show you just how much mayhem you have caused though, as due to the size of some of the junctions, crashes are likely to be occurring out of your field of vision. There are 23 junctions in total, with these split into three sections, and then a Bonus section is to be unlocked after completing all the tracks. Providing things go your way with all the potential hazards, this could be wrapped up in a couple of hours. The 13 achievements that go with the game should offer no difficulty either – at least if the game behaves itself. I had high hopes for Danger Zone 2 following the first one, but as it is in its current state, I cannot recommend it at all over the initial offering. It has features such as real-world locations and Run-Up Objectives, but these cannot disguise the many bugs and overall haphazard state of the game. Patches have been promised, but it will take quite a few to get this game up to speed. Next articleDigimon Survive announced for Xbox One, Switch, PS4 and PC Western release!